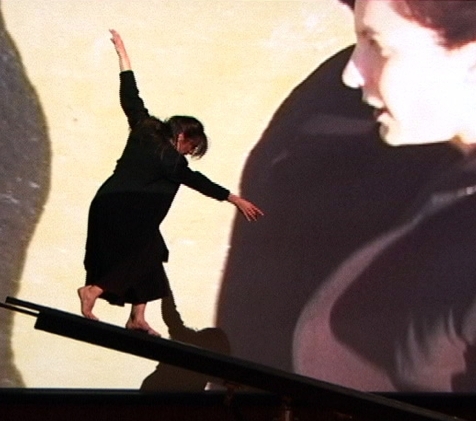 TILT is a video-dance film by choreographer Paula Josa-Jones and video artist Ellen Sebring. TILT explores the fragile nature of balance, the tenuous cord with which we are tethered to a sense of normalcy, the rupture of change without warning, and the abrasion of world events upon our lives. On the screen, two women teeter along a sea wall, coats buffeted by wind into shapes of flight. In a union of film and dance, the wall falls away and imparts an unstable gravity which redefines the dancers’ movement as they negotiate their tenuous grip and are thrust into a world with new physical laws. 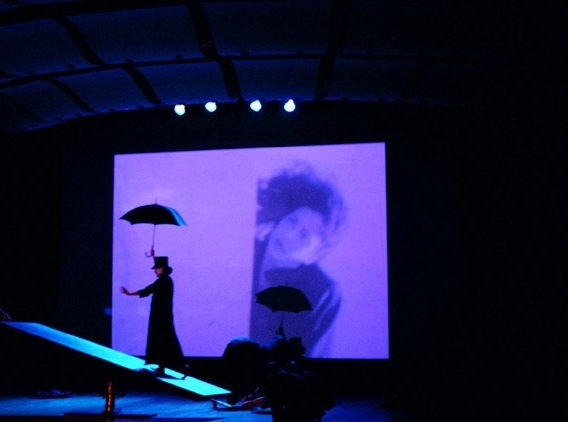 TILT was mounted as a stage performance in Kresge Auditorium at MIT in 2005. This version of TILT blended film footage with a specially constructed “Levitron” that disrupted the gravity of the dancers Alissa Cardone and Ingrid Schatz. Scott Shunk was the Producer. Additional dancers came from Kinaesthetics Lab, a dance company based at MIT. Lighting was created by Blu, and the Levitron designed by Geoff Benson. Funding was provided by the Council for the Arts, MIT, Office for the Provost of the Arts at MIT, and Dancemakers, Inc.